Today marks the one-year anniversary of the release of 82 of the 276 Nigerian school girls who were kidnapped in 2014 from a school in Chibok, Northern Nigeria, and hidden in the vast Sambisa forest for three years, by Boko Haram, a violent Islamic insurgent movement. This fall, HBO Documentary Films will present the revealing film Stolen Daughters: Kidnapped by Boko Haram, telling the story of the girls’ time in captivity and following their lives over the past year. Granted exclusive access to the freed girls, who upon their release last year were taken to a secret government safe house in the capitol of Abuja, the film shows how the young women are adapting to life after their traumatic imprisonment and how the Nigerian government is handling their re-entry into society. 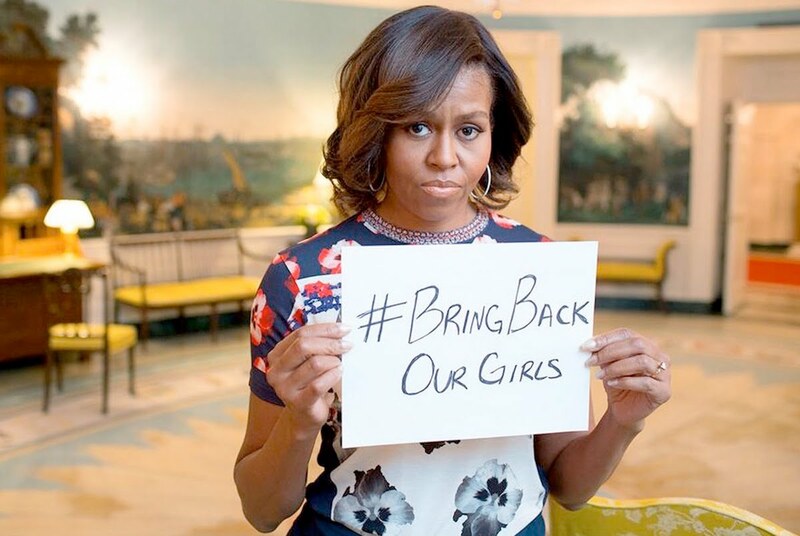 Following a global social media campaign with the hashtag #BringBackOurGirls, featuring global celebrities such as Michelle Obama, huge pressure was brought to bear on the Nigerian Government to get the girls back. Four years later, more than 100 of the girls have been freed. Stolen Daughters: Kidnapped by Boko Haram chronicles reunions with family members they have not seen since they were kidnapped, as well as their process of coming to terms with what has happened to them. The kidnapped girls, known as “The Chibok Girls,” are required to live in a protected environment, where contact with the outside world is severely limited, although they are provided with education and counselling. As the film documents, they eventually progress to a residential, government-funded program at the American University of Nigeria. Their fate could not be more different than that of thousands of other Nigerian women and girls who have fallen prey to Boko Haram and are known as the “Forgotten Girls”. In the northeastern city of Maiduguri, which has been the site of numerous attacks by Boko Haram and remains extremely volatile, some of the “Forgotten Girls” share deeply disturbing stories of their abduction and treatment at the hands of the terrorist group? – ?and eventual escape from captivity. Their troubles haven’t ended with their escape from the Sambisa forest, however. With female suicide bombers having killed scores of people in the city, they are often treated with suspicion because of their connection to Boko Haram. “Forgotten Girls” enjoy none of the privileges afforded “The Chibok Girls.” Many live hand-to-mouth in the slums and refugee camps, abandoned by the Nigerian state, but are determined to tell their stories and move forward with their lives, despite the obstacles.